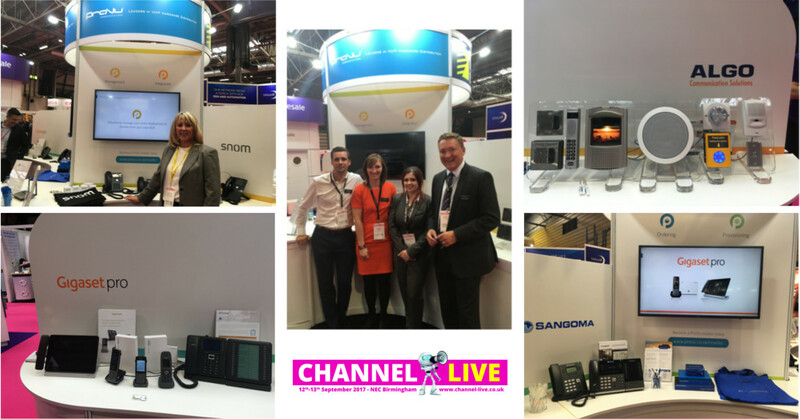 We’ve had a busy week this week exhibiting at Channel Live at the NEC in Birmingham. We thoroughly enjoyed our time at the show, catching up with new and old partners – if you attended we hope you enjoyed it too! Organised by Comms Business, the show had a great turnout and we’d like to thank them for the hard work they put into creating such a positive event. We’d also like to say a special thank you to our supporting vendors Algo, Gigaset pro, Sangoma and Snom who joined us on our stand. 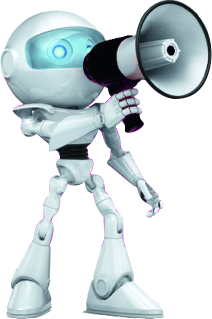 If you would like to contact the ProVu team, please call 01484 840048 or email contact@provu.co.uk. 5 Reasons to Visit ProVu at Channel Live! Channel Live is quickly approaching and we’re gearing up for what’s set to be the Channel’s biggest event of 2017. Here’s 5 reasons to visit us at the show. We’ll be demonstrating our online portal, ProSys and how we can automatically provision and remotely manage VoIP hardware. 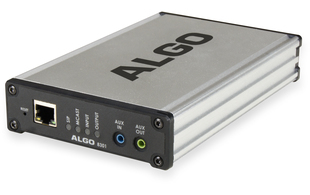 Algo will be joining us for the first time on our stand with a range of their visual and audio equipment. You could win a Gigaset CL750A Sculpture handset and see a selection of Gigaset’s DECT solutions. Sangoma will be running incentives for their partner program and exhibiting a range of their products. Snom will be showcasing some of their newest, yet to be launched products. This guide is designed to show how to make an Algo 8301 multicast the audio it receives on the Line IN or AUX IN ports. In this guide we will use two Algo 8301 units, the first as the Multicast sender and the second as the multicast receiver. Basic Slave Zones = Tick “Music” box. Thats It! Couldn’t be simpler. 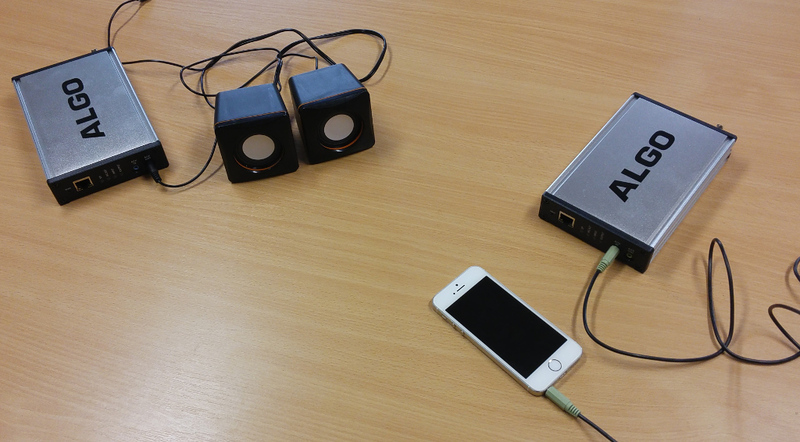 In my test, I chose the Audio Input Port as the Aux IN port, then connected my mobile phone using a normal AUX cable. I then connected some PC speakers to the Aux OUT port on the second Algo 8301. When I played the music on my phone, it was played out over the speakers plugged in to the second Algo, which was receiving the audio over multicast. This would be a great way to take an audio input source in one location, and broadcast the message across a large site with multiple speaker groups. Have you discovered the full Algo range? Consisting of a variety of standalone devices each model offers a unique feature set, enabling you to offer a more flexible solution to your customers. 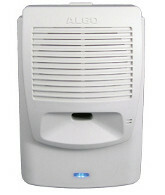 The Algo 8180 SIP Alerter is ideal for noisy environments such as garages, workshops and warehouses. It provides a loud ringing and paging device which can automatically adjust the volume to compensate for background ambient noise. 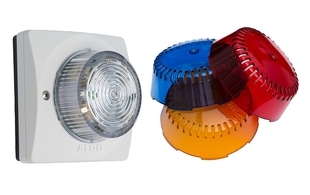 The Algo 8128 provides visual notification using a high intensity LED strobe light to notify users of calls, emergencies and security events. Ideal for use in loud environments, environments that need to remain quiet or for users who have hearing impediments. 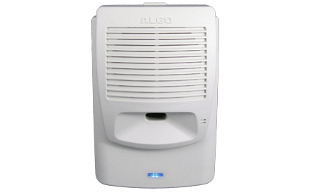 The Algo 8188 is a SIP compliant IP ceiling speaker which is ideal for voice paging, loud ringing, emergency notifications and background music. 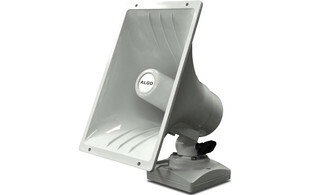 The Algo 8186 is a weatherproof PoE wideband SIP horn speaker which is suitable for voice paging, loud ringing and emergency/safety/security notifications and alerting in both indoor and outdoor environments. 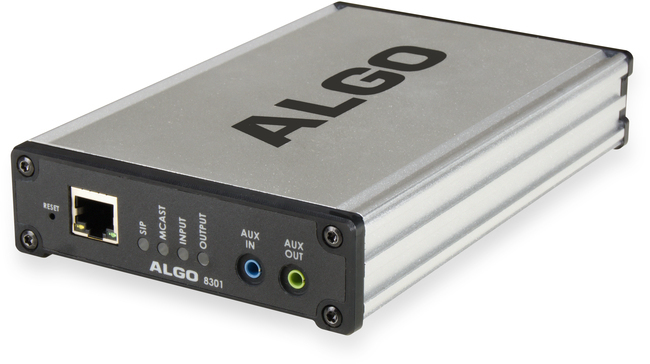 The Algo 8301 IP Paging Adapter allows integration of existing analogue paging systems in to hosted and on-site SIP PBX environments, ideal for streaming music to other compatible IP devices. Offering a varied range of products, Algo devices are a great solution to many business requirements, to find out more simply contact the ProVu Team. I think nearly anyone that has seen the Algo audio alerting devices has wondered what a group of them would sound like when they are positioned together. Recently here at ProVu we got to group 38 Algo devices together and set them up to listen on multicast. We were impressed with the kit and the result, the audio setting was left untouched so they are set to the default (I think it is 4 and goes up to 10) so they can become louder if required. 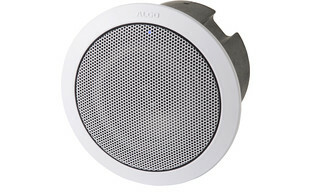 Algo has produced an interesting, easy to follow video with the features and benefits of the Algo 8186 SIP Horn Speaker. 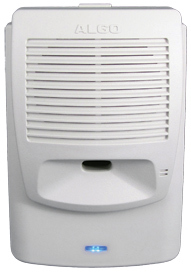 The Algo 8186 is a weatherproof SIP horn speaker which is suitable for voice paging and loud ringing in both indoor and outdoor environments.